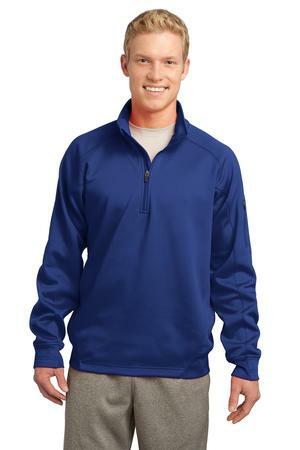 Cool, dry and colorfast, this quarter-zip pullover has a smooth face and brushed backing for comfort. It features double-knit construction, as well as a zippered pocket on the left sleeve and a chin guard. Be the first to review “Sport-Tek Tall Tech Fleece 1/4-Zip Pullover Style TST247” Click here to cancel reply.